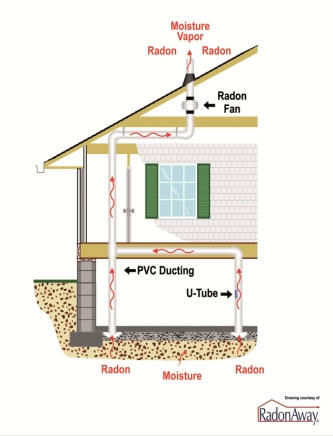 In both drawings an inline Radon fan vacuums soil gases from under the home and exhausts to above the roof line. Improperly installed systems can cause more damage and greater risk than if the home was never treated. 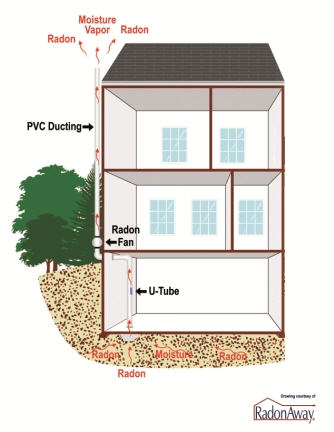 The radon concentration from the exhaust point can be as much as several hundred times that of the initial readings that prompted the decision to mitigate.